Discussion in 'News' started by MNicolai, Aug 13, 2018. Est. 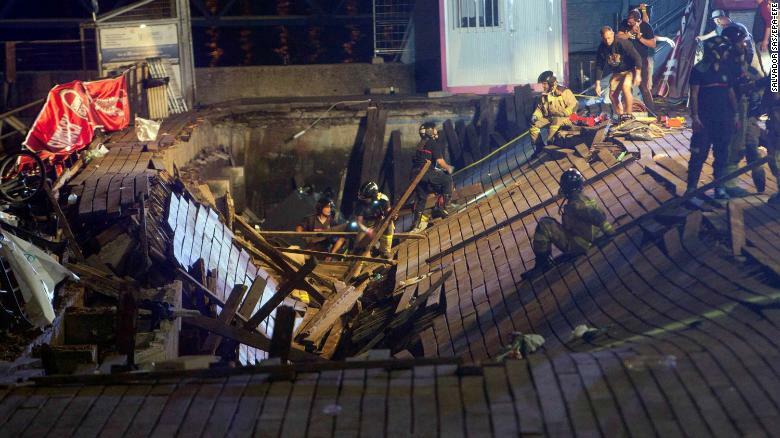 300 injured when audience members on a section of the pier/boardwalk fell into the water as the platform collapsed below them. Doesn't appear to be any fatalities, but a number of people have various broken limbs. Everything I've seen keeps saying platform, but it looks like there wasn't anything under them and its just the boardwalk that gave way right? I haven't seen any sort of "platform" but I keep seeing the term used. Platform in the traditional construction sense of an elevated deck structure. To the best I can tell there was no temporary staging or platforming systems in place. Just a lot of people crowding together onto a wooden structure designed (probably) for 1/20th the occupant load. 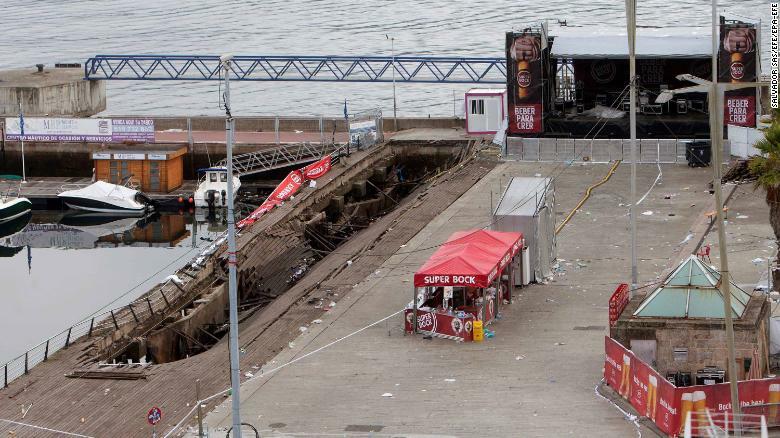 The BBC story mentioned that it was reported that the musical act was doing it's first song and part of that was asking the crowd to jump, which was right before the collapse. 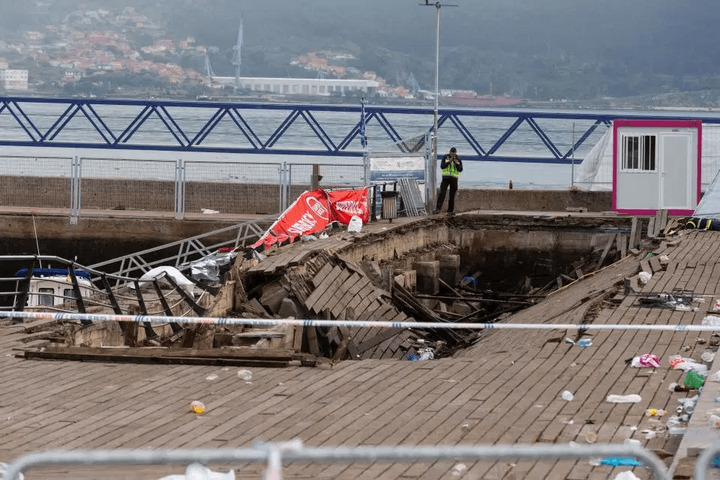 Bridge collapse in Genoa this morning. Bad week for suspension in Europe. Saw the videos of that. pretty spectacular faliure...sad day.